Having recently reacquired DWS status these 2 practices are adding an additional 2 surgeries to their portfolio. These are fantastic opportunities based in the beautiful South West Cost and the surgeries are expected to be very busy. They are recruiting GP's both for the established and new practices. The first practice was established in 2010 and now has 19 Dr’s supported by 6 nurses. The 2nd has 3 Dr’s. The new practices will have 4 GP’s each. These are mixed billing practices with splits of 30-40% private and 60-70% bulk billing. The practices offer 15 minute appointments. Operating hours are 8am – 8pm Mon – Fri and 8.30am – 5pm on Saturday. The new practices will be 8.30am -6pm Mon-Fri with Saturday opening. Weekend cover is operated on a rota basis. VR GP’s will earn 65% of billings which will equate to around $300k AUD. There will be a 3 month guarantee of $120 per hour for the first 3 months. There is Pathology, Dentists and Pharmacy on site as well as additional services such as Physiotherapy and occupational health. Rolling vineyards set against a backdrop of ocean and forest let you easily hop from one experience to the next. Catch sight of the amazing humpback whale, explore ancient caves and then stroll through forests of timber giants. Or enjoy one of Margaret River’s great wineries, where you can relax with a glass of the region’s world-renowned wine, matched with local truffles and crayfish. 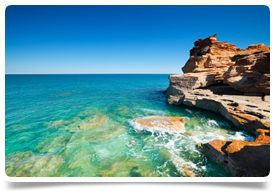 The South West region of Western Australia is one of the world’s 34 biodiversity hot spots and its breath taking scenery will blow adventurers away. Experience it first hand as you climb over the ancient rocks of the Granite Skywalk or take a postcard-perfect snap of the stunning Greens Pool. As you explore the region, you’ll uncover curious animals and rare plant species found nowhere else on earth.